Discover Past Book Reviews that you may have missed! Discover previous monthly reviews focusing on books relating to CIMBA’s groundbreaking leadership initiatives and unique educational philosophy. Welcome to Al’s Book Club (ABC). Written by CIMBA Italy’s Founder and President Dr. Al Ringleb, this monthly review series focuses on books with topics relating to CIMBA’s groundbreaking leadership initiatives and unique educational philosophy. In applications of this thinking, the technical skills of the technocrat, the skills of his “discipline,” became most associated with Sloan’s notion of “performance.” As such, “character” seemingly was left to encompass those skills beyond the confines of the manager/leader’s “discipline.” Intuitively, we assumed logically that Prof. Drucker meant “character” would include a crucial to effectiveness combination of critical thinking, decision-making, and behavior, and most arguably behaviors influencing the manager/leader’s ability to get along with others (why else use the word “social”?). “Social” in the Knowledge Worker era seemingly encompassed letting others know your “function and potential contribution” relevant to the team in order to establish a “common understanding of the [team’s] common tasks.” However, as we saw in Geoff Colvin’s Humans are Underrated in a prior ABC, the technology as an information multiplier era in the years after Drucker wrote Management dramatically changed both us and the way we work. The data presents a reality far different from what Drucker and others educated and experienced in the Knowledge Worker era might have been led to perceive or assume or maybe even dream. As evidence of the changing importance of teams, a massive study of research productivity over a 50-year time period beginning roughly at the time Drucker wrote Management looked at some 20 million research papers from 250 fields within science, engineering, the social sciences, and the arts and humanities, plus 2 million patents of all kinds, and found that the overwhelming majority of research work in virtually every field involved collaboration and increasingly were being undertaken by clearly defined teams. The study makes the behavioral trends clear and obvious: In virtually 100 percent of the fields, more and more research is being done by more and more teams, and those teams are steadily becoming larger. But before we feel compelled to jump to System 1 conclusions, let’s ask if we also observe those teams producing better results than individuals working alone? The same study shows that the research papers most often cited in scholarly literature, and therefore considered to be the most influential, are also increasingly being done by teams. Some 50 years ago, in the heart of the Knowledge Worker era, such scholarly research was largely the domain of individual thinkers – solo authors were far more likely to produce the rare insights that lead to important breakthroughs. Today, the world of discovery is a far different place. In science and engineering, for example, work done by a team is 530 percent more likely than an individual’s work to be cited 1,000 times or more. So, unquestionably, teams and teamwork are important both in terms of the way work gets done, but also in the quality of that work and the mark in makes on organizations and society. Clearly, the process of knowledge creation has been fundamentally affected by the era of technology as an information multiplier. Humans working in teams are more crucial to the success of businesses and organizations, and the ability to work in teams is more crucial to the success of individuals. 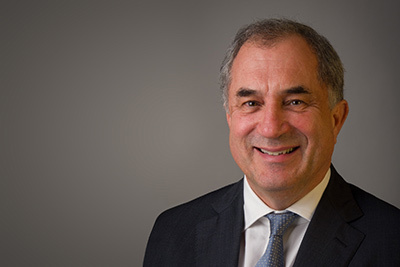 But how has the business community stayed abreast of this dramatic sea change from the Knowledge Worker of the past to, in the words of Geoff Colvin, the Socially Sensitive Worker of the present? What new or renewed emphasis has been placed on measuring, assessing, and developing character in the interest of making the individuals in those teams more productive and creative? As we saw in Prof. Kellerman’s The End of Leadership and Prof. Pfeffer’s Leadership BS in last months’ ABC, manager/leaders have remained surprisingly ambivalent toward learning. For far too many manager/leaders, learning is of questionable value because it diverts employees’ attention from “real work.” Any activity, learning or otherwise, that does not produce immediate, tangible, countable results is often viewed with a certain degree of suspicion, skepticism, or even disdain. Juxtaposed to academics, manager/leaders see themselves as doers rather than thinkers, pressured for time, and thus motivated to navigate toward development efforts viewed as being “workable,” rather than “ideal,” solutions. In most cases, such thinking on the part of manager/leaders has been motivated by the manner in which they are compensated and promoted. To this end, they have openly asserted that organizational L&D resources should be focused on improving the bottom line rather than on releasing human potential. In the very best of situations, learning has been defined by a razor-edge focus on knowledge with the completion of courses bringing about yet another “learning box” being checked off in the interest of being able to say that employees were provided with the ability to grow and to develop (Along with the causally correlated: Is it my fault they did not master the tools and techniques offered in the course? when the course fails to deliver the expected or promised results and blame needs to be assessed). Not surprisingly, developmental efforts requiring time for reflection, synthesis, and personal introspection intended to stimulate social brain learning — to develop Socially Sensitive Workers — are often unceremoniously referred to as being “academic” or worse, “new age,” and often viewed as being too bookish or impractical or touchy-feely. If behavioral modification — arguably to develop skills integral to moving beyond being more than a ‘technocrat’ — is addressed at all it is often through rudimentary mentoring or coaching programs, whether individually or in teams and which by their very nature allow those most in need of character development to avoid confronting unproductive behavioral issues with relative ease. Making matters worse, as both Profs. Kellerman and Pfeffer make clear, such development efforts are frequently judged on the self-reported satisfaction of program participants (its entertainment value) and not on the results they may have generated — which in any case are rarely, if ever, measured. Throughout most of the Knowledge Worker era, the lack of measurement and assessment technology made it a virtual certainty that data with the potential to refute those “new age” allegations were not going to be collected and analyzed. Unfortunately, this kind of myopic thinking continues to persist in too many important businesses and organizations today. But the future is looking far more optimistic as those old, antiquated perspectives on personal and leadership development are beginning to change, and much of that change energy and inertia are being directed toward Drucker’s “social function” notion, but in its present context of the Socially Sensitive Worker. 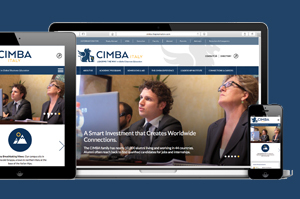 All in all, through the CIMBA PEOPLE STRATEGY® our primary personal and leadership development mission has been focused on assisting individuals in improving their performance by overcoming unproductive, unconstructive, and unhealthy “thinking” habits and related actions and behaviors. Those same individuals have been asking us to do more, particularly as it relates to teams and teamwork. They see and feel technology rapidly pushing their companies toward this inevitable new era of the Socially Sensitive Worker and they are very concerned that a lack of an appropriately trained workforce to confront this rapidly changing landscape will seriously undermine competitiveness going forward. Having experienced the competitive advantages that LIFE and KT have provided in advancing their careers, they want to bring those advantages to a broader audience. They feel a strong sense of responsibility in being “change agents” in their companies and want the tools to overcome resistant individuals who through skepticism or simple blind fear refuse to move beyond the unproductive confines of the old Knowledge Worker mentality. Importantly, they want those tools to embrace the lessons they learned from their LIFE experience: that interdependence, cooperation, and support — the Power of Vulnerability and the importance of creating psychological safety in the workplace — go a lot further than an individual-by-individual focus on a mastery of a particular technical skill or discipline. After several years of listening, developing, testing, and refinement, we have built such a tool. At the core of our efforts is a concept that has found favor in both the military and the public sector but which we have significantly energized through an injection of important LIFE lessons, KT cognitive tools, neuroscience, and the use of advanced awareness technology. Highly beneficial at both the team and organizational levels, we call this new tool a LIFE Circle. What is a LIFE Circle? A LIFE Circle (LC) is a structured brief, review, or de-brief process for use by project and learning teams in analyzing what was expected to happen, what actually happen, why did it happened, and how it can be done better. At its most general level, it is designed to make learning routine, to create a state of mind where participants are continuously assessing themselves, their teams, and their organizations and asking how they can improve. What was the impetus for creating the LIFE Circle concept? Through observation and experience, we have come to realize that the overwhelming majority of the issues leading to dysfunctional teams find their origin in System 1 Cognitive and Emotive Thinking Errors. In large measure, those errors are attributable to the impact that the conventional Knowledge Worker mentality is having on the current work environment. The primary impediment is its singular emphasis on individual, technical achievement; social interactive skills only become relevant when objective evidence on technical performance indicates a concern for an individual’s competency. With meaningful and purposeful business-related social communications encumbered by the hierarchical structure supporting such an environment, people are likely to form conflicting expectations about what, when, and by whom tasks are to be done. This lack of clarity in roles and responsibilities leads to all sorts of interpersonal friction and politics. On the basis of such distorted System 1 driven expectations, almost universally made without actual inquiry or other System 2 thought or reflection, important tasks are implicitly passed on to or expected of others or dropped, and frustration within the organization builds. The presence of deadlines only serves to amplify the frustration, often to intolerable levels, damaging relationships and eroding trust. Blaming others for such performance lapses becomes a System 1 behavioral habit, seen by the brain as a means for self-protection and survival in the organization. In such circumstances, cortisol is the brain’s chemical of choice, very rapidly shifting individual focus and attention toward “What do I need to do for myself to survive” and away from “What can I be doing to assist others.” Feeling let down, fearing being unfairly blamed, and growing increasingly mistrustful of others, we find ourselves withdrawing into our individual corners, and we become less willing to offer support or to provide assistance to others. Driven by our System 1 fear of blame and finding ourselves isolated, humiliated, or rejected by our peers and superiors, this lack of trust and confidence in the abilities or sensitivities of co-workers can easily motivate us to undertake actions or behaviors that only serve to further deepen this sense of mistrust. What is more perplexing is that this whole process often plays out without anyone even questioning the assumptions upon which these actions or behaviors are based. In the best of circumstances, a heated argument breaks out, clearing the air, and the process starts anew. Although organizations will attempt to overcome this unproductive workplace spiral of tension through trust-building or team-building exercises — technical solutions for technocrats — the concerns actually flow from a misalignment in System 1 perceptions about what we can or should expect from both ourselves and others. Our expectations are clouded by mindless assumptions — which the brain has evolved to accept as “fact” — and then grows as we subconsciously gather selective information that confirms our mindless assumptions without even inquiring about the validity of those assumptions! 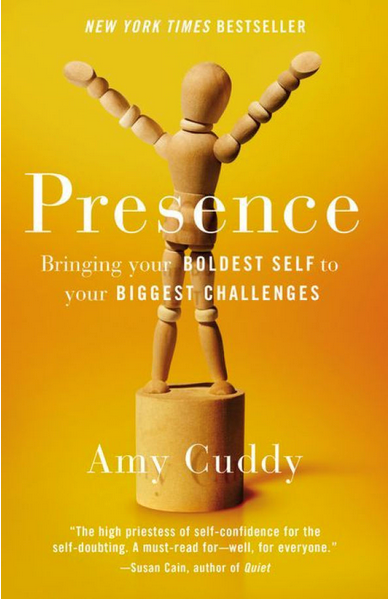 Against this background, Prof. Amy Cuddy’s Presence: Bringing your Boldest Self to your Biggest Challenges makes a significant and important contribution. In her work, she describes in great detail what it takes to become an effective Socially Sensitive Worker, although she never utilizes that terminology. 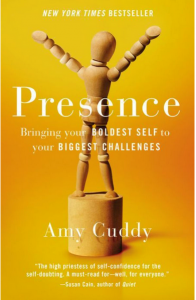 While in describing a Socially Sensitive Worker, we would use the words “Character” and “Mental Complexity” (One of favorite authors, Prof. Dan Siegel, might use “Interpersonal Neurobiology”), Prof. Cuddy takes us through a captivating journey of what psychology has to say about the importance of “presence” in her terminology and how it can be developed. From our Italian perspective, we find the title to be most interesting as a person who would likely meet our operational criteria for being a Socially Sensitive Worker would be said to have “bouna presenza” — “good presence” if literally translated. While from the above (and those of you who have had LIFE and its follow-on coaching have experienced) you can see how we see the intricacies of being a Socially Sensitive Worker through a neuroscience lens – controlling System 1 Cognitive and Emotive Thinking Errors – Prof. Cuddy follows the taxonomy of her profession, which we find to very consistent and compatible. For many, you will find her examples to be clear, understandable, and very applicable in those situations where our LIFE Circles are intended to have an impact through process. Her personal examples are on-point and, importantly, she backs up her thinking with supportive, relevant research. The book provides an unexpected, but well received, richness to our LIFE Circle discussions, and, as a consequence, will be required reading for our coaches and LIFE Trainers.